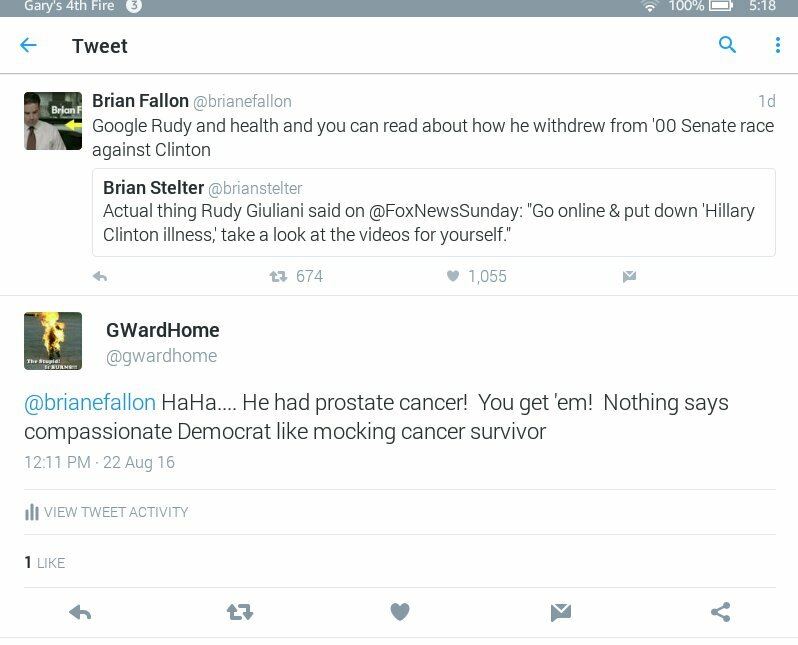 Press Secretary for Democratic Presidential Candidate Hillary Clinton, Brian Fallon, attacked and mocked a cancer survivor on Twitter Sunday. Following this attack, Fallon has neither apologized nor even removed the offending tweet. Likewise Hillary has yet to address or denounce this attack leaving voters to assume that she approves of such attacks against cancer survivors and victims. This is a vile attack that should draw cries of protest from cancer victims and their families. The media, rather than licking at Hillary’s boots, should be demanding she address this. As somebody who has lost both parents to cancer, I see this as unforgivable and can only wish my parents could have won their fights with cancer. Fights that Fallon feels are a valid insult. The attack came is response to comments by former NYC Mayor Rudy Giuliani. In interviews Giuliani questioned stories that Clinton may be experiencing health problems, and whether this should impact Hillary and her run for President. Fallon insulted Rudy for dropping out of the race for US Senate against Hillary in 2000. What you will find is that Rudy had to leave the race due to prostate cancer. Apparently Fallon feels leaving a political race to fight cancer is something to insult. In 2016 prostate cancer will impact 181,820 men and kill 26,120. This is no laughing matter, though apparently Fallon thinks it is. If a member of the Trump staff had said anything this atrocious, the media would be demanding they be fired. Yet, the media says nothing. 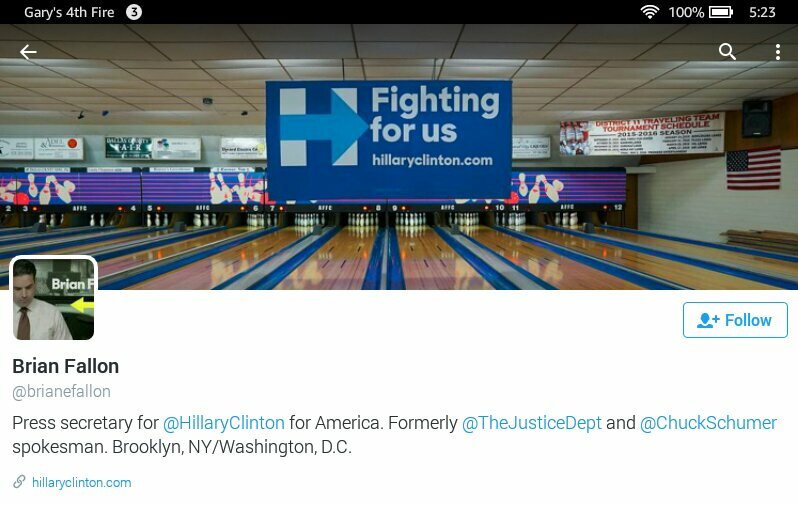 Hillary does nothing. It ‘s up to us to push this. We have to show the world the behavior of her team, and good them responsible for their words. Demand the media keep Hillary honest. Demand she keep her staff accountable. Tweet it. Facebook it. Reddit it.